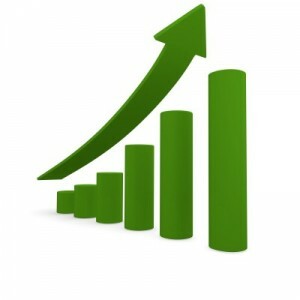 This month’s Valuation Zone stock – JPMorgan Chase (JPM) – is on that list. It got $25 Billion. The bailouts were controversial at the time and remain so to some people. If you want to learn more, here’s an article about CEO Jamie Dimon’s testimony before Congress in 2012 about what went down in 2008. He says his bank didn’t need the bailout. For the most part, the big banks are healthy again. We’re going to look at JPMorgan, summarize its quality, and see if it’s well valued. JPM is the largest bank in the USA. 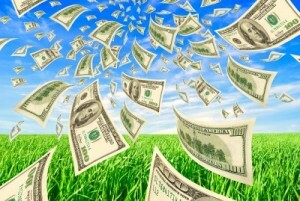 • Simply Safe Dividends’ Dividend Safety grade. As you can see, JPM is a solid high-quality company, with 2nd-highest grades generally across the board. Morningstar awards JPM a Wide moat rating, its highest grade, based on sustainable cost advantages and “switching costs” – the costs its customers would face in switching to a competitor. High switching costs often play into a company’s moat rating. Morningstar also rates JPM’s management as Exemplary. JPM currently yields 3.0%. 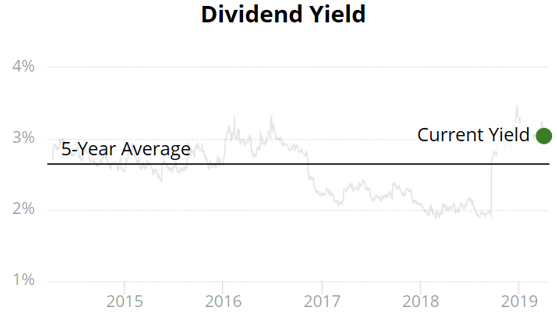 Its 5-year dividend growth rate (2014-2018) was 12.8% per year. That combination puts JPM in the mid-yield, fast growth category of dividend growth stocks. Simply Safe Dividends considers JPM’s dividend to be safe. 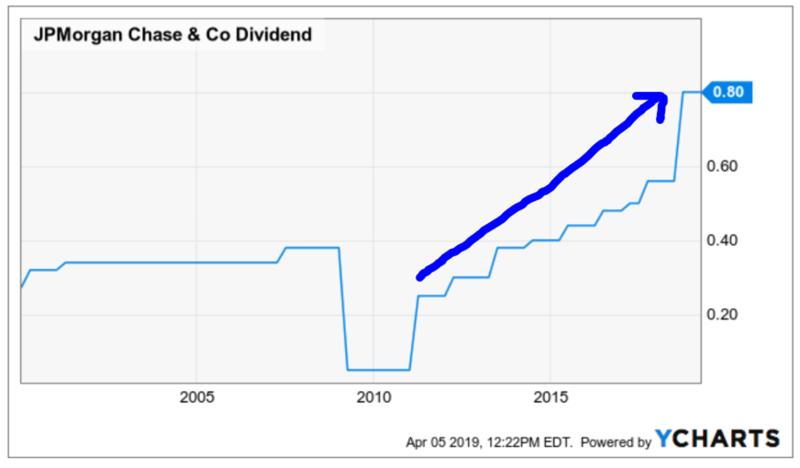 JPM has raised its dividend for 8 straight years, beginning when it got permission from regulators in 2011 to do so following the financial crisis. Note that prior to the crisis, JPM had been a dividend payer, but they had not raised their dividend regularly going back to 2000. Frankly, from that picture, it’s hard to say whether annual dividend increases are baked into JPM’s DNA since the crisis. But the last 8 years certainly look very good, including a big 43% increase last year. To value a stock, I use four different methods, then average them out. 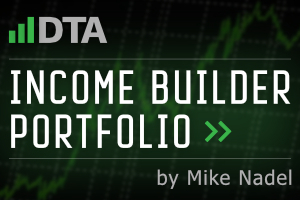 For more details on my methodology, see Dividend Growth Investing Lesson 11: Valuation. In the the first step, I check the stock’s current price against FASTGraphs’ basic estimate of its fair value. FASTGraphs compares the stock’s current price-to-earnings (P/E) ratio to the historical average P/E ratio of the whole stock market. That historical average is 15. The orange line corresponds to the P/E ratio of 15. The black line is JPM’s price. I circled JPM’s own P/E, which is 11.5 at that price. Under this first method, JPM is well undervalued. Here’s how I calculate how much: Make a ratio out of the two P/Es. I call that that the valuation ratio, and it translates to JPM being 23% undervalued. I round prices off to the nearest dollar so as not to create a false sense of precision. Valuations are assessments, not physical traits, so we want several points of view. We’ll get those from the following steps. In this step, we “normalize” the fair-value reference line to reflect the stock’s own long-term valuation rather than the market as a whole. I use the stock’s 5-year average P/E ratio (circled) for this step. It’s shown by the blue line below. This 2nd step also suggests that JPM is undervalued. Its 5-year average P/E ratio has been 12.6 (circled), which is higher than its current P/E of 11.5. 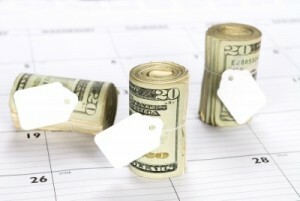 The calculations of the valuation ratio and fair price are the same as in the first step. The stock appears to be 9% undervalued using this method. I consider anything +/- 10% to be fairly valued, so technically I’d call it “fairly valued” in this step. The next step is to see how Morningstar values the stock. Morningstar takes a different approach to valuation. They ignore the P/E and other conventional valuation ratios. Morningstar calculates a fair value of $111 per share. The 4th and final valuation method is to compare the stock’s current yield to its historical yield. If a stock is yielding more than its historical average, that suggests that it is a better value than usual, because you are “paying less” for the stock’s dividends. You can buy more shares with your money, and because dividends are paid per share, you will get more dividends for that money. JPM’s current yield of 3.0% is 11% higher than its average 5-year yield of 2.65%. That suggests that the stock is undervalued. That would suggest 12% undervaluation. Using 0.88 as our valuation ratio, we get a fair price of $106 / 0.88 = $120. Now we average the 4 approaches. The average of the 4 fair-price estimates is $121, compared to JPM’s actual price of about $106. That means that JPM ’s selling at a 12% discount to fair value at the moment. JPMorgan Chase is a high-quality business. Although it doesn’t receive the highest rankings from practically any quality-rating source, it does receive their 2nd-highest ratings. 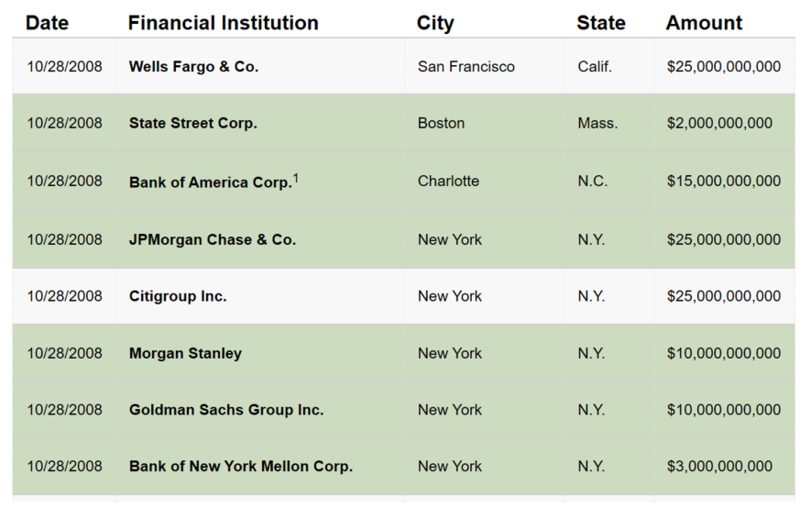 Indeed, one often reads that JPM is the best among the biggest banks in the USA. JPM seems to have fully recovered from the financial disaster of 2008-09. Since it’s been allowed to do so (starting in 2011), it has been raising its dividend like gangbusters, and it currently yields 3%. 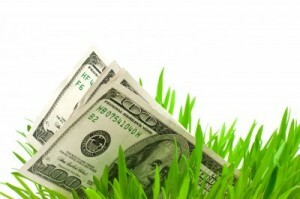 Its dividend seems safe and supported by the bank’s fundamentals. I believe that JPM is selling at an attractive 12% discount to fair value, with a current price of about $106 compared to a fair price of $121. 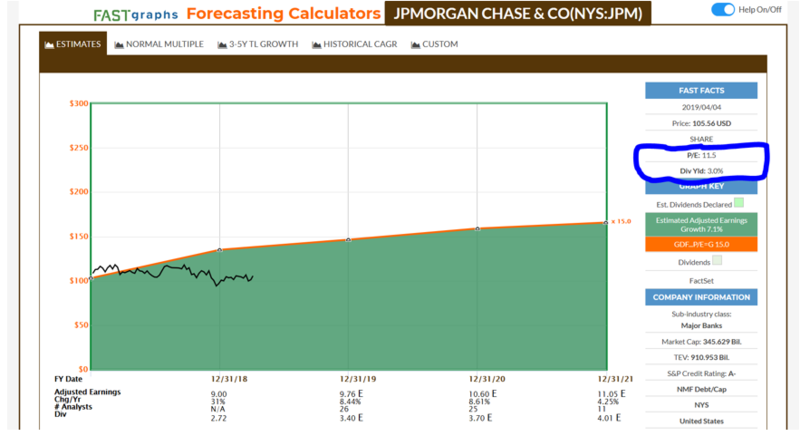 • Brian Bollinger has a complete analysis of JPM in this article from April, 2019: JPMorgan Chase: A Quality Bank and Dividend Growth Stock. • Billy Duberstein explained Warren Buffett’s thinking in purchasing shares of JPM in this article from February, 2019: Why Warren Buffett Thinks JPMorgan’s Stock Could Soar. 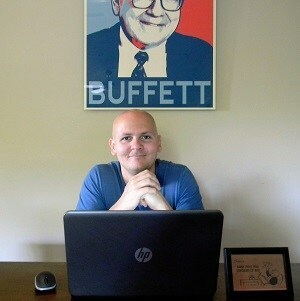 • Buffett’s purchase was explained in the latest installment of DTA’s Warren Buffett Tracker. Buffett bought 14.4 million JPM shares in Q4 2018, bringing his stake to more than 50 million shares. That’s quite an endorsement. 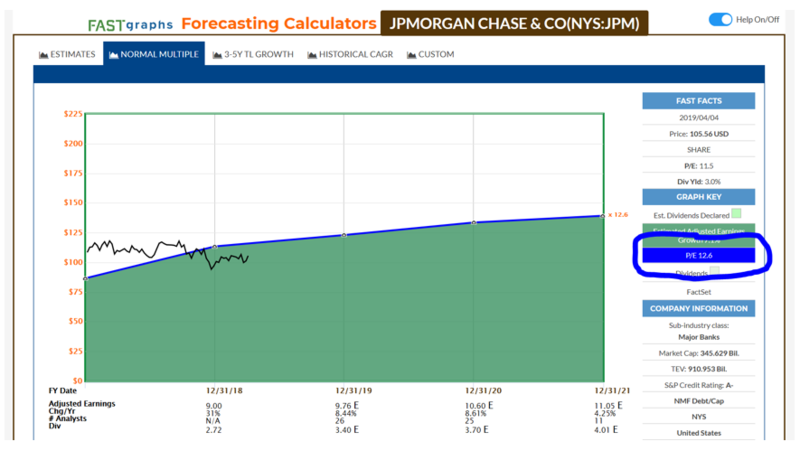 This is not a recommendation to buy JPMorgan Chase. As always, perform your own due diligence. Check the company’s complete dividend record, business model, financial situation, and prospects for the future, as well as its effect on your portfolio’s diversification. And always be sure to consider how and whether any asset fits (or does not fit) your long-term investing goals.